Happy Holidays! We threw together some of the best pictures we took from the past year. 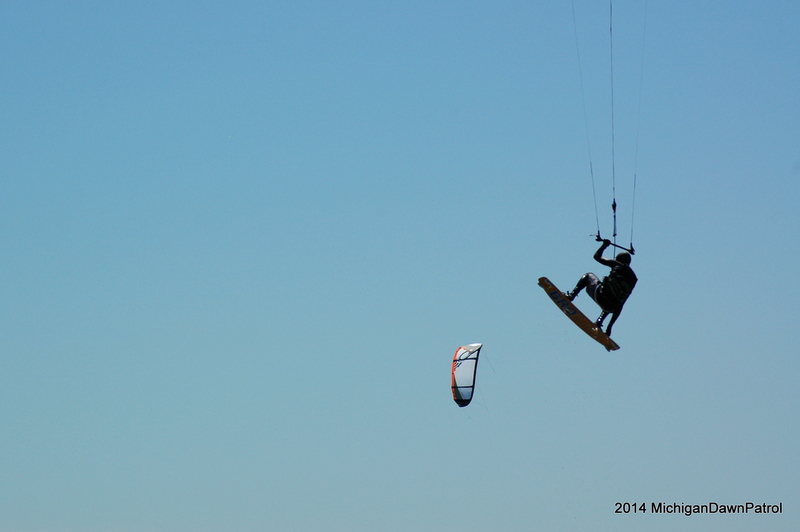 We chose these because they have some significance like a good action shot, are scenic, or showcase an event, time or place related to kiteboarding. Let us know what you think and send us your favorite pics at midawnpatrol@gmail.com. Enjoy and see you out there in 2015! 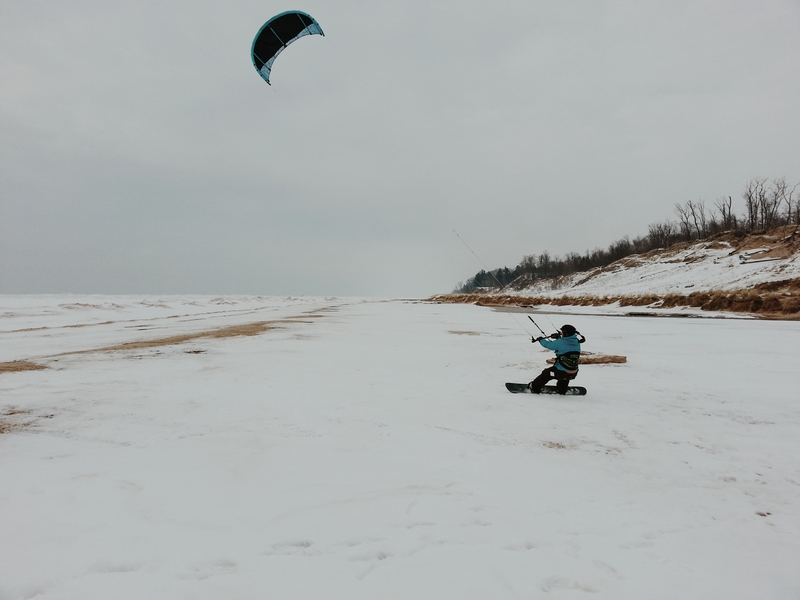 Jetty: Last winter this was our first session ever getting a good ride snowkiting. It was cold, but got us psyched for more. 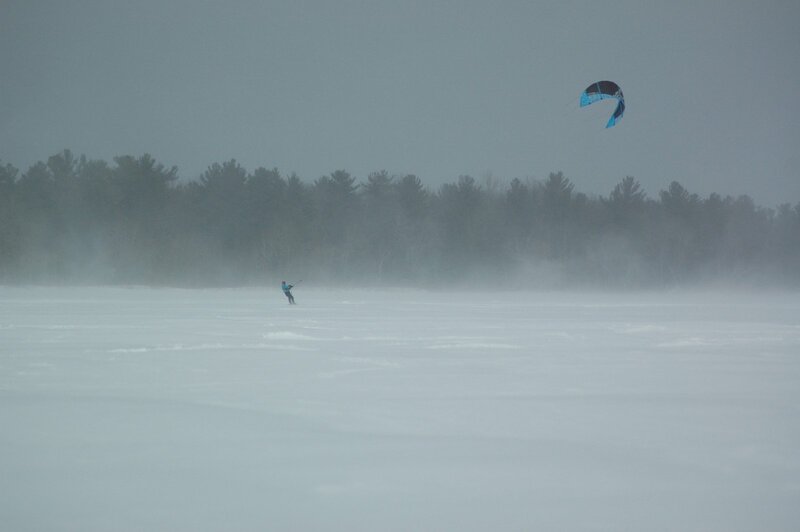 Jetty: This was the most fun we ever had snowkiting. There was so much ice on the lake that we could ride on the beach and then out onto the ice shelves. The ice shelves were like kickers that you could launch off. DP: What I remember most about this day is falling on the ice. I got a good reminder that day that ice is harder than water. Hopefully we get a chance to ride on the snow in 2015. Jetty: I took this picture in the spring when we had a south wind. I pulled into the parking lot and couldn’t believe how blue the water was. 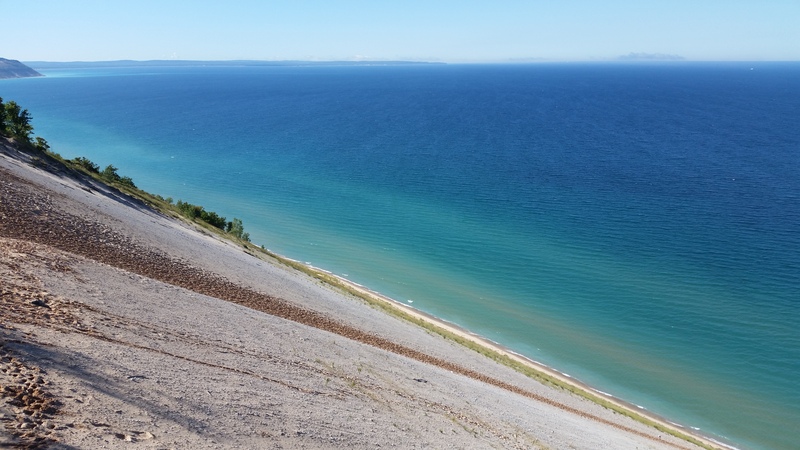 It was more like the waters around sleeping bear or in the Caribbean. Unfortunately the wind was too gusty here, but I did get out riding at Meinert Park later the same day. Jetty: Spring session in Grand Haven. Always a great shot with the pier in the background. DP: I almost didn’t ride this day but am glad I did. A classic NW and the wind held just long enough before I had to pack up for church. Jetty: This is into June now, but the water was still freezing! I think it was our first ride in Manistee on the water. 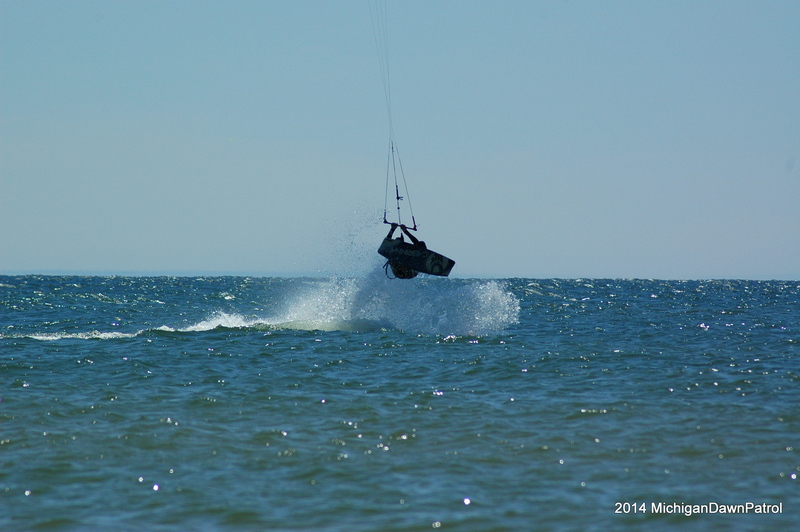 It was a steady wind with very little wave, so we were able to dust off some tricks and boost. 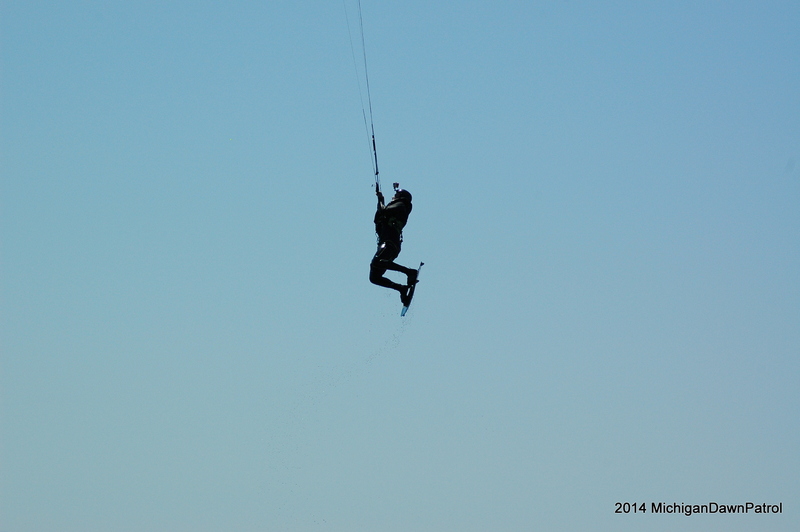 Jetty: June riding at Meinert on a big south wind. The water was still cold. We mounted a gopro on a flotation device and set it out in the water for us to boost over. It really picked up some cool pictures and video. DP: This was my favorite ride of the year and what made it good was the wind quality. It was the steadiest wind I’ve ever ridden and made for silky smooth jumps. Jetty: This is later into June and the water is starting to warm up. Our first time ever riding at Port Sheldon since they opened the beach to the public. DP: I was really impressed by the beach at Port Sheldon. Very scenic and the pier provides some protection on a North. Jetty: Back at Meinert again and I think this is into July. The water levels were so high that the beach was almost completely flooded there. You could ride into the pools. Jetty: Mid July and probably a top 3 session of the year for me. Strong NW wind formed some really nice waves. Also, our first time ever riding at Kouw Park. 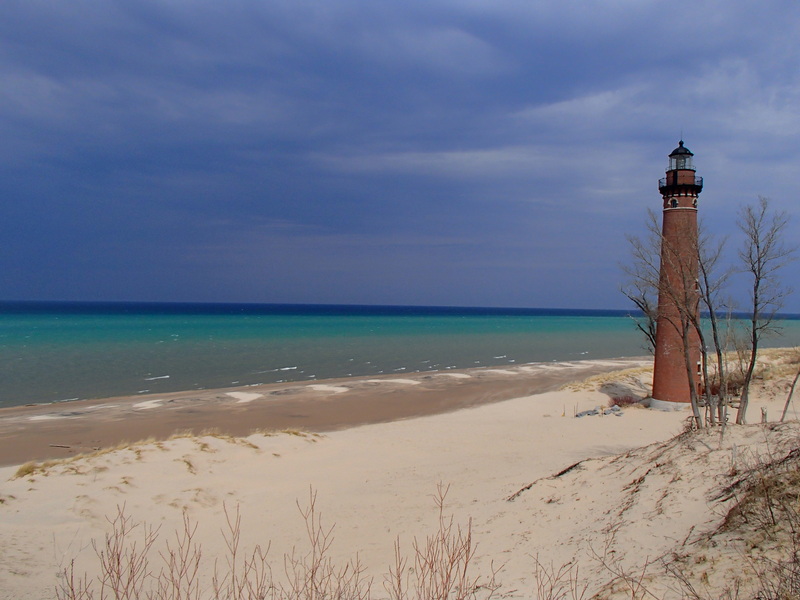 DP: The shoreline between Grand Haven and Holland has become one of my favorite areas to ride. 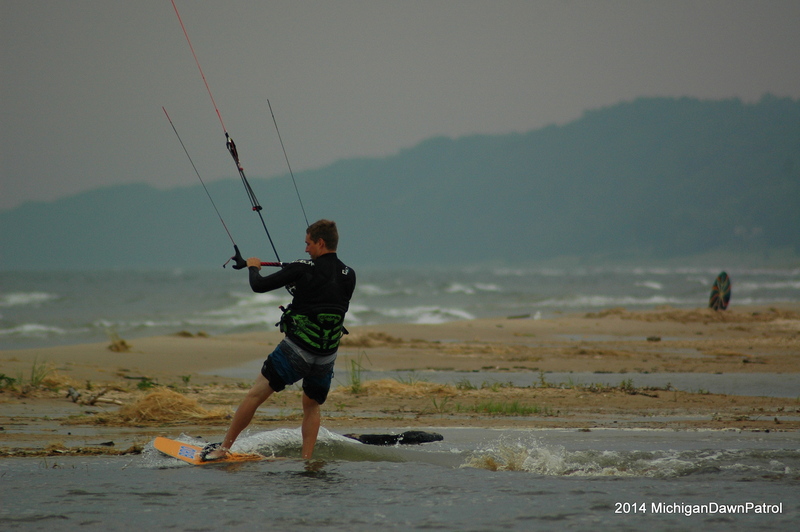 Kouw Park is a great spot to start or end a downwinder due to the wide beach. Jetty: Another picture from the Kouw Park day and the nice waves we rode. Jetty: This is into early September now and a trip I made up to Leelanau. Did a lot of driving around looking for wind until finally we stopped at Good Harbor bay. 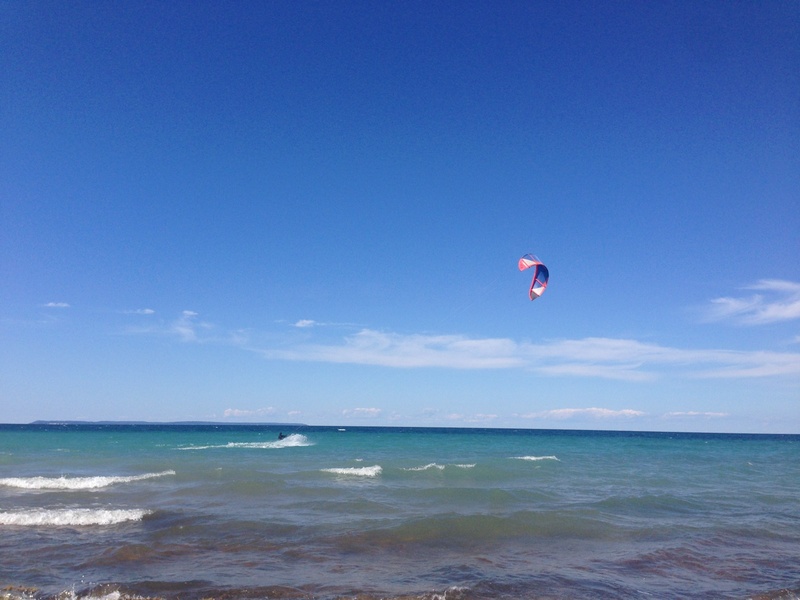 Turquoise blue waters with the Manitou islands in the distance made for a great ride. 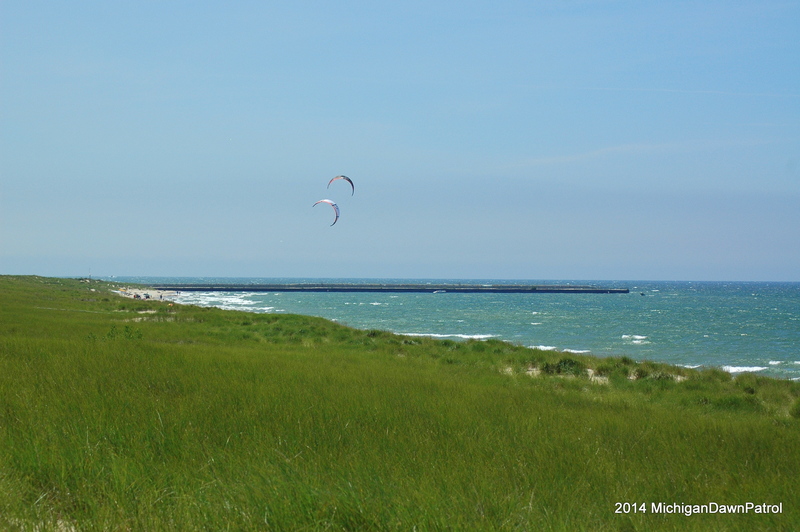 Jetty: Riding in the flat waters between the piers in Manistee on south wind. This was the first year we got in there to do it and found out it was pretty good. 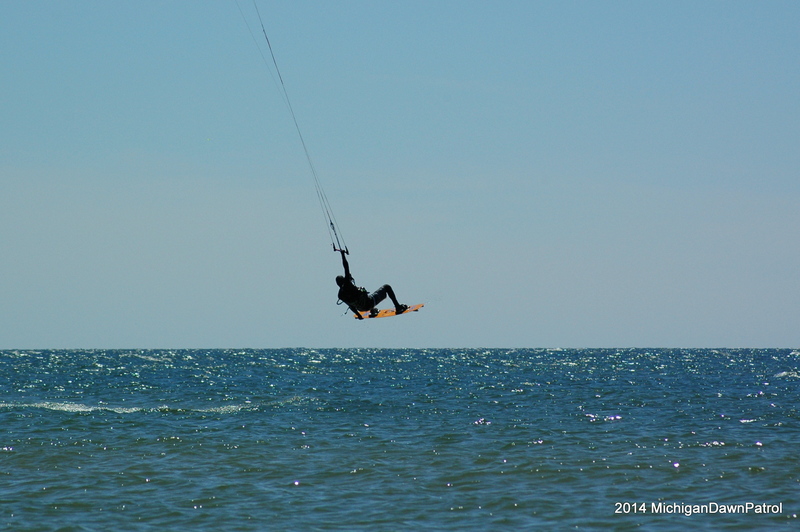 DP: Just wide enough to ride and the best place to go in Manistee on a straight south wind. Jetty: This was from a downwinder we did on a BIG north wind day in late September. Everything about it was sketchy. Huge waves breaking everywhere, tons of current and no beach most of the trip for landing. DP: We stayed near the shore break for most of the trip. Waves were reading 10 feet high at the port Sheldon buoy but we didn’t really see anything much over head high. 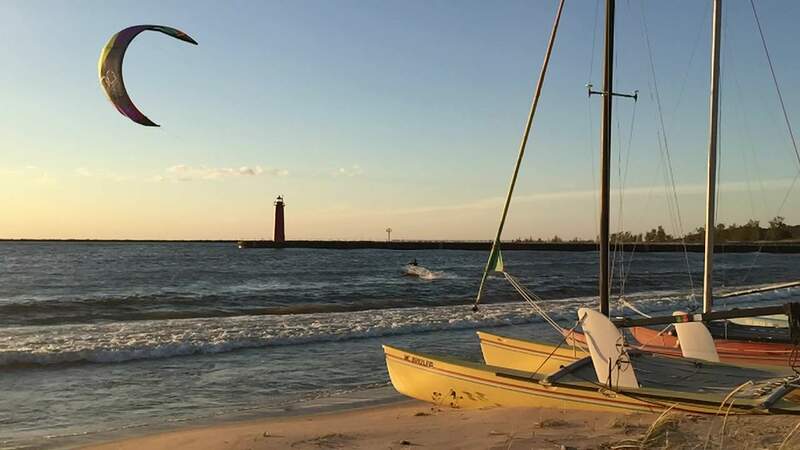 Jetty: Now into October we caught the tail end of a North blow in Muskegon late in the day. Just enough wind to ride the big kites up to sunset. First time riding between the piers there as well. DP: Not the epic downwinder we had hoped for earlier in the day but a nice sunset sesh nonetheless. Sunset between the piers in Muskegon on the same day. Jetty: Now into late October this was the last day of a 3 day weekend of riding and it turned out to be the best session. Two days of North winds and a third day with South wind which was this picture. Our only time this year even riding at North Shore. Stayed until sunset. DP: This south was unexpectedly good at around 25 knots and was one of my favorite rides of the season. 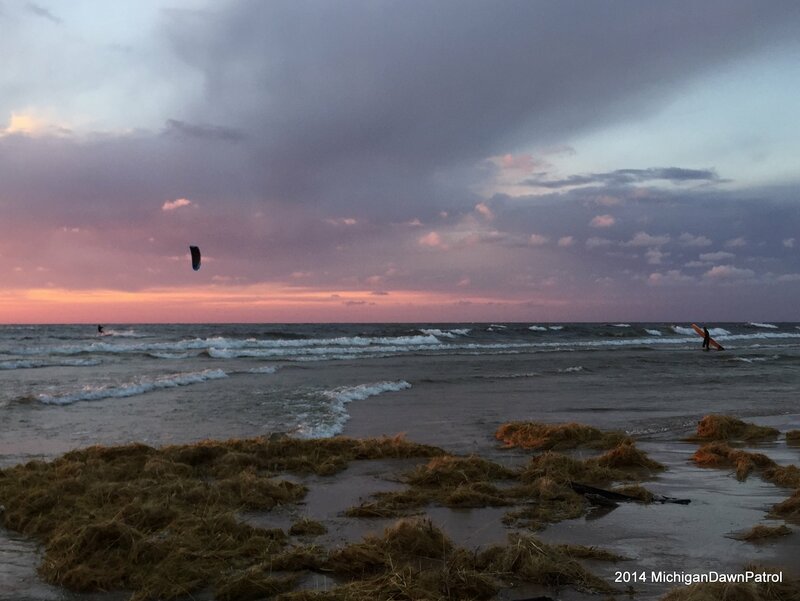 Not a lot of good south winds this past year around Grand Haven. Jetty: We had North Shore to ourselves except for a couple surfers who were grinning as much as we were. Jetty: Finally I think one of the most impressive wind and waves day I’ve seen on Lake Michigan. Halloween 2014. 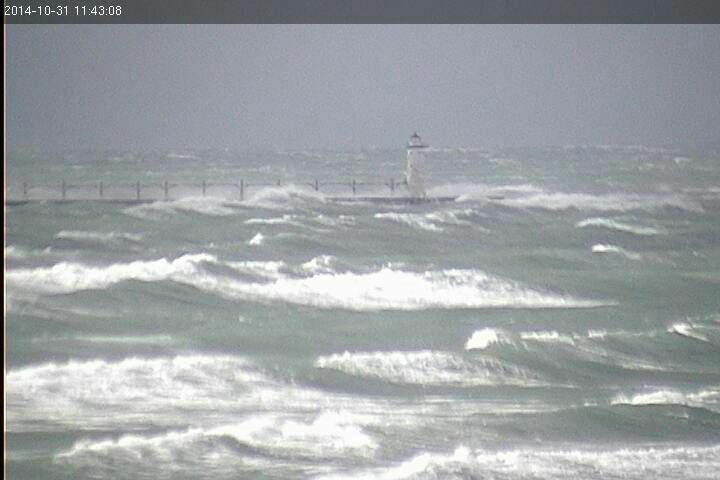 The Manistee pier was getting pounded all morning long by 50 knot + north winds. 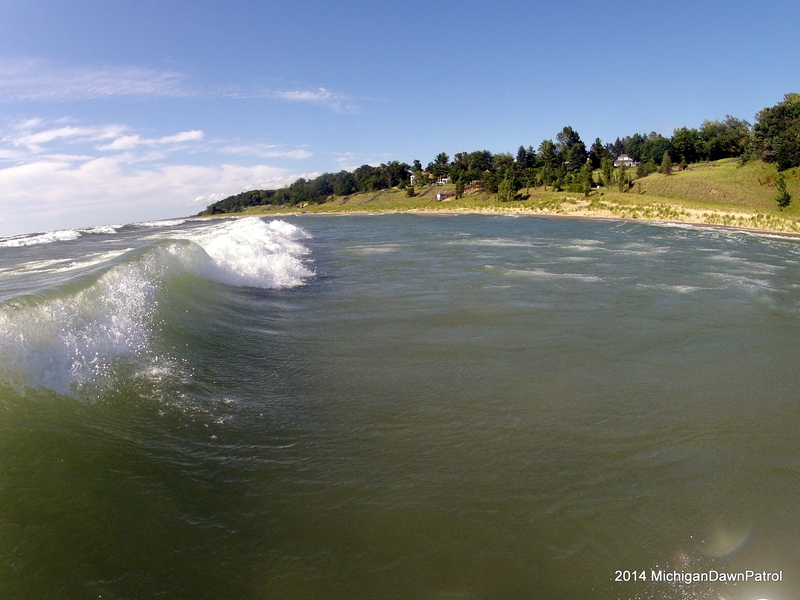 They were the biggest waves we have seen since we put up the Manistee Surf Cam. 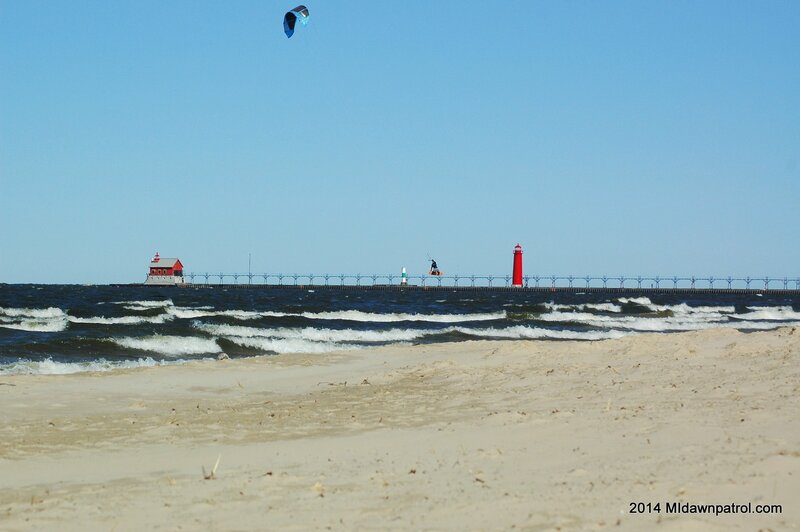 DP: The wind was lighter that day in Muskegon and Grand Haven and offshore creating some nice waves for local surfers. 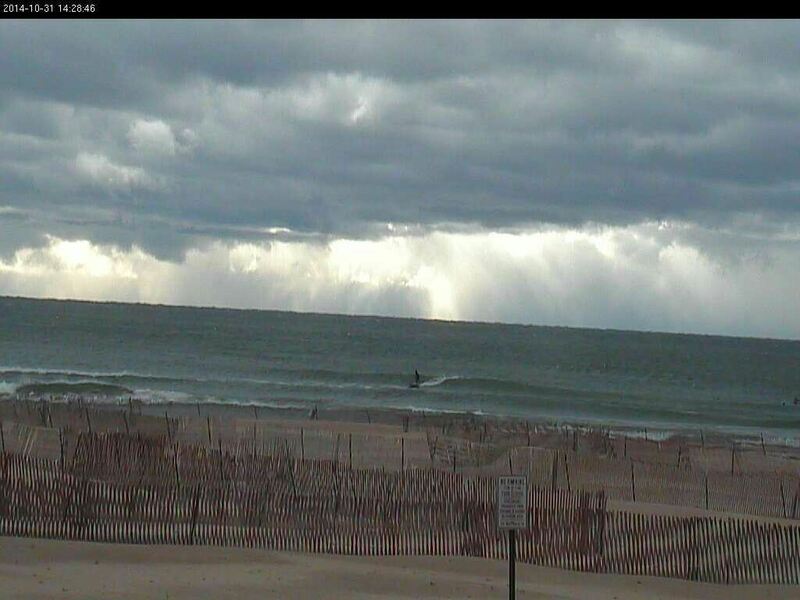 We got a few pictures from the Muskegon Surf Cam. and there are some great surf videos posted from that day. There you have it! Our favorite pics from 2014. 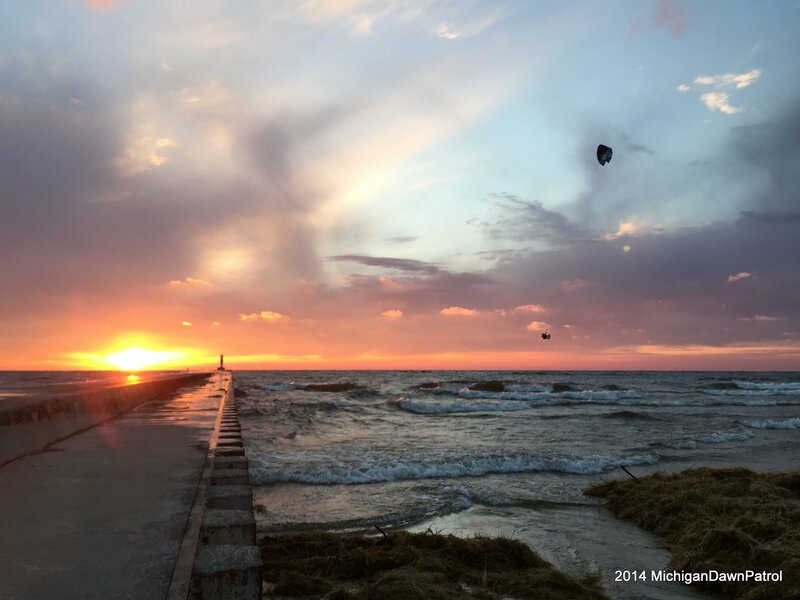 Do you have favorite pictures of the Lakeshore from 2014 that you’d like to share? Send them to midawnpatrol@gmail.com we’ll feature them in a future post. 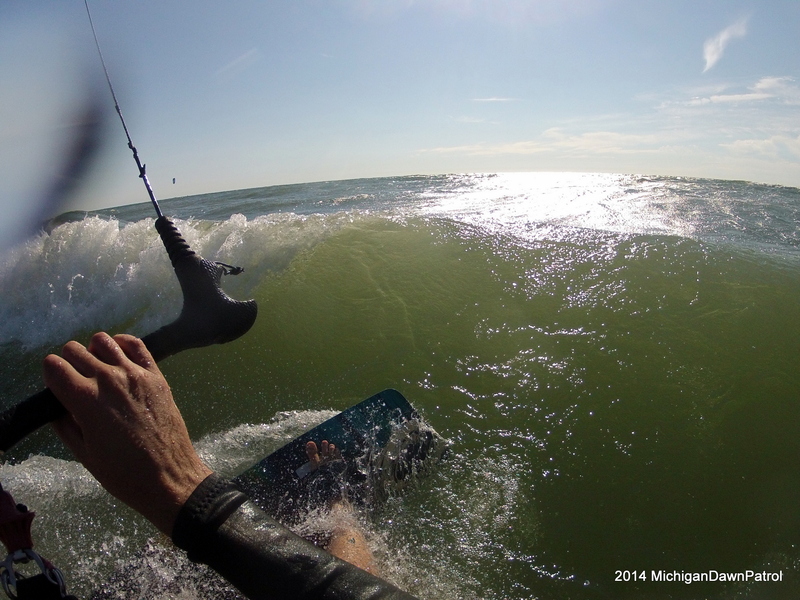 Michigan Dawn Patrol is a kiteboarding, surfing, and water sports photo and video blog focused on Michigan. 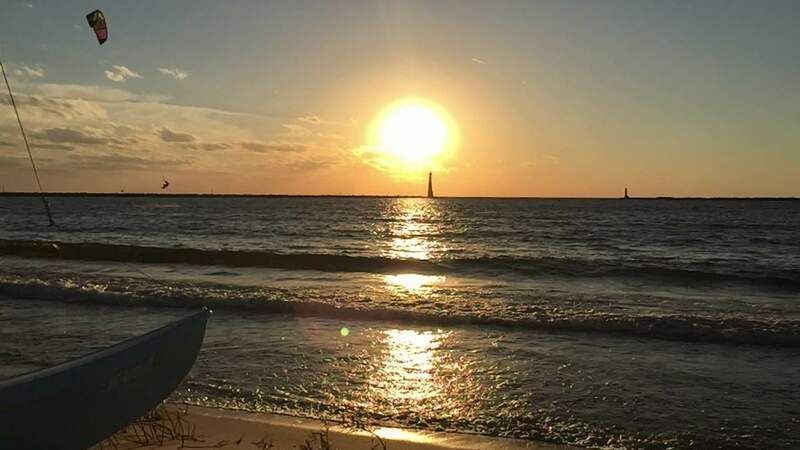 Comment, share, and subscribe to stay connected to the lakeshore.